Order our merchandise using Paypal. We also accept cheques (UK only - payable to 'Unsilence') and well concealed cash at the given prices. Email us for an address. 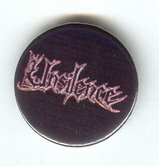 The new album from Unsilence, out now on Nine Records (Poland). Availible on CD and download, click here to order. 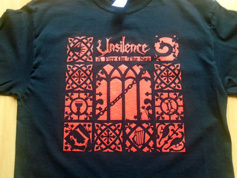 The debut album from Unsilence, still available on CD, Vinyl and download. Click here for more info. New T-shirt with the "A Fire On The Sea" cover. We are presently out of S and M shirts. We'll probably get some more done but if you would like one, email us. We only have 2XL size left. And due to finances, there's presently no plans to print more. We have badges and stickers availible. Please contact us about prices and amounts. 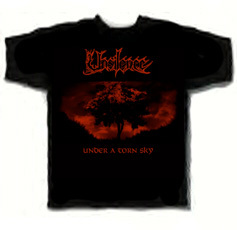 Some will be placed in T-shirt and album orders for free.